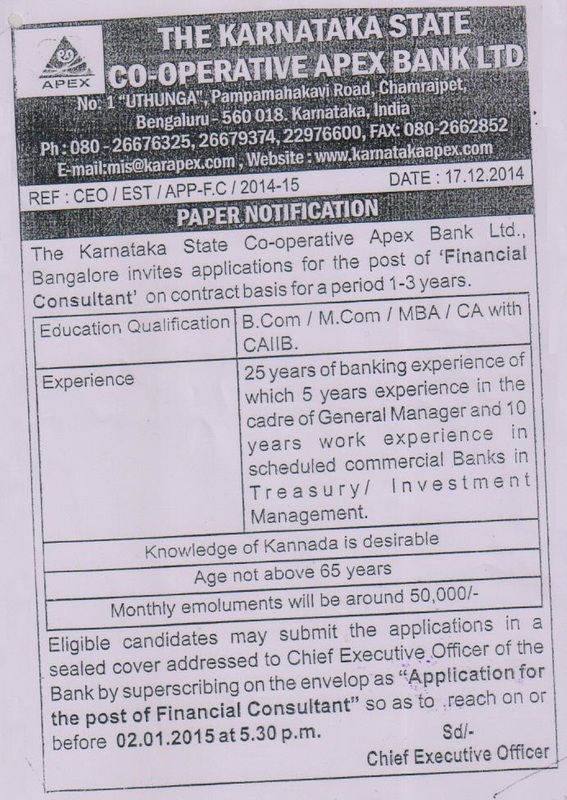 Karnataka State Co-Operative Apex Bank announced openings for the post of Financial Consultant. 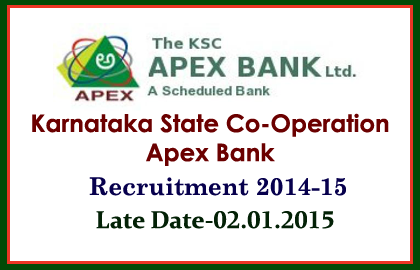 Eligible Candidates can apply before 02.01.2015. More Details regarding this recruitment were mentioned below. Eligible candidates can apply by sending their application by super scribbling as”Application for the post of Financial Consultant” and send it to the below mentioned address.